Phaser 4400 ya no se comercializa nuevo. The Phaser 4400 receives high marks for outstanding software and print quality. "The software truly shines in configuring the printer for network use, as the process is automated more than with any other printer." Top honors with a Best Buy award. "The Phaser 4400 prints near-perfect black text and does so slightly faster than the chart average..."
"The Phaser 4400 is a heavy-duty, networkable printing machine. It churns out professional-quality text and graphics at lightning speeds, and it requires little or no knowledge to use." Phaser 4400N receives a "very good" rating and Editor's Choice designation. 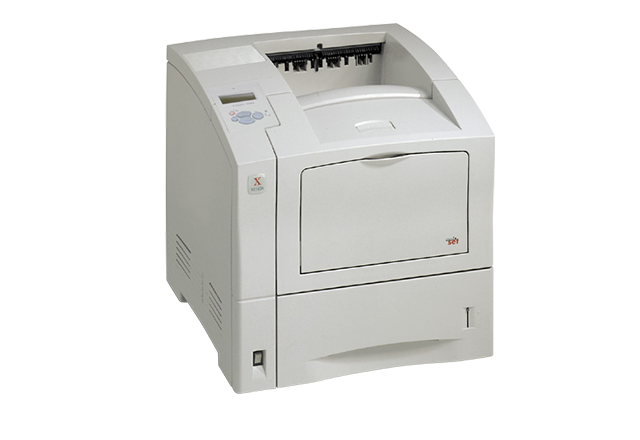 "The Xerox Phaser 4400 is a serious laser printer worthy of any busy office environment, large or small."